This past Saturday Zaftig Brewing put on a party to celebrate the limited release of five different wood aged versions of their Too Cans IPA. Although I was hosting a Central Ohio IPA blind taste taste on the same day (more about that to come soon) I was able to stop in for a few minutes to check out the beer and the scene. When I arrived it was a little after 2 pm and they had already attracted a pretty big crowd. The sun was shining, the food truck was just setting up, and Scottish trained brewmaster Dan Griffin was pouring the beer decked out in a kilt. It was a festive scene, one that I’m sure only improved as the day wore on. Chances are you haven’t had that many barrel aged IPAs, I know I haven’t. In fact the combination of citrusy American hops and bourbon is not one that sounds particularly appealing to me. The thing is Too Cans is not your typical IPA. It normally weighs in at 10.6%, which easily puts in Imperial IPA territory (the wood aged versions were 12%). Even then it’s not an Imperial IPA in the mold of Bodhi, Heady Topper, or Chillwave, where the malts are just a blank canvas for over the top hop character. Make no mistake there are plenty of American hops in Too Cans, but they have to share top billing with a big malt presence. To me it drinks more like a hoppy barleywine or strong ale. For this event Zaftig took fresh batches of Too Cans IPA and aged them over different types of wood (either in the form of chips or spirals) for 5-6 weeks. 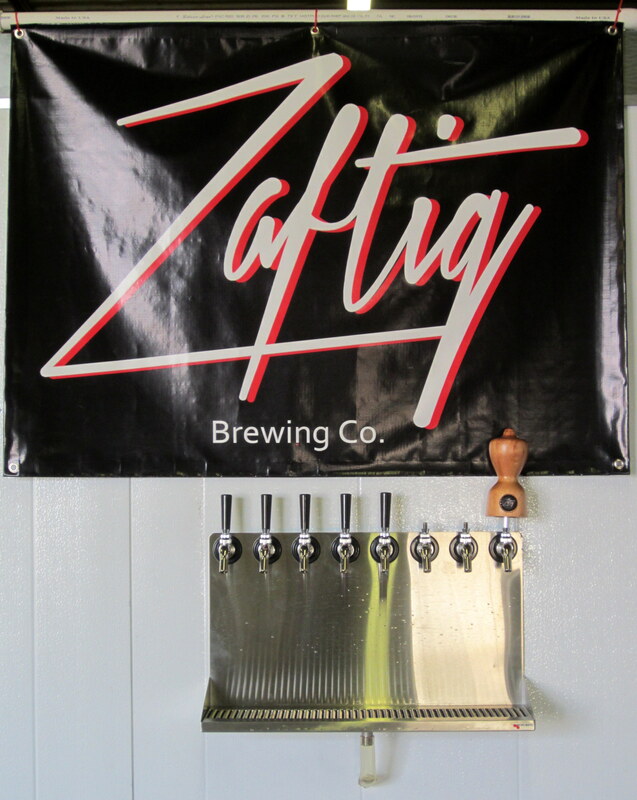 The end result was five decadent and delicious beers that in my opinion are the best beers yet to come out of Zaftig. Between my short visit on Saturday and a return trip to the taproom the following Wednesday I was able to sample four of the five versions they were pouring (I missed the American Medium Oak Aged Too Cans). Here are my impressions. Bourbon Barrel Aged Too Cans – This one has a delectable silky smooth mouthfeel that surpassed the other versions. The mélange of the base beer and the barrel give flavors of vanilla, rich caramel, and bourbon, but thankfully not so much that it strays into boilermaker territory. Zaftig has crafted a beer that can hold its own with some of the best barrel aged beers on the market. French Oak Aged Too Cans – The French oak adds unmistakable vanilla notes that beautifully complement the sweeter caramel malt flavors in Too Cans. Although it can’t quite match the mouthfeel of the bourbon barrel aged version, the flavors are so bright and harmonious in this version that I’d have to say it was my favorite. American Heavy Oak Aged Too Cans – Not as much bright vanilla presence as the French Oak version and not as decadent and silky smooth as the Bourbon Barrel aged version. Not a bad beer by any means but side by side with the others it was my least favorite. Spanish Cedar Aged Too Cans – This version has the aromatic nose of a freshly cut cedar chest, an aroma I don’t normally associate with beer. Taste wise I thought the cedar notes nicely accented the caramel and piney flavors of the base beer. This version was definitely the most unique of the quintet and a big hit with my companions. In this wets your appetite but you haven’t had a chance to head up to Zaftig yet, don’t despair. Zaftig was still pouring all but the bourbon barrel aged Too Cans when I left the taproom Wednesday at 7 pm. I would guess that they will still be on tap when they open on Saturday (12-5 pm). The pours are on the expensive side ($6 for a 5 oz pour) but when they are gone who knows when they will come back. 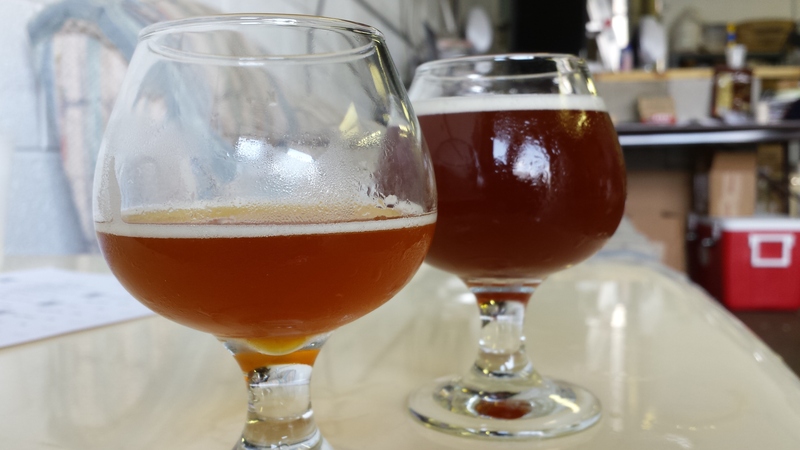 My advice is to treat yourself to a snifter of one of these decadent beers. Taps at the Zaftig tasting room.